DEADLINE TO ORDER IS FRIDAY MARCH 3RD. 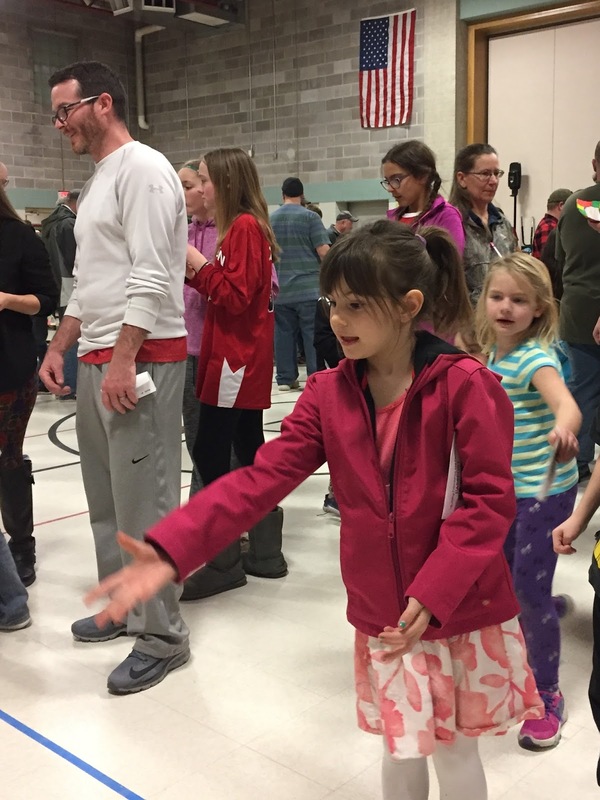 We will have another Parent Involvement Meeting Thursday, March 16, 2017 at 5:00 p.m. This will be a quick meeting to discuss the successes and challenges we faced with our first ever Penny Carnival. We will meet in the Chadron Primary Library - we look forward to seeing you there. 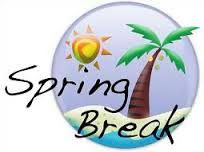 Just a reminder that SPRING BREAK for Chadron Public Schools will be next week. We have an early dismissal on Wednesday, March 8, 2017 (1:30 p.m.) and NO SCHOOL on Thursday, March 9, 2017 & Friday, March 10, 2017. Have a great break! Congratulations to this month's Cardinals of the Month, these students have set amazing examples of how students should behave here at Chadron Primary School. They were treated to breakfast in the teachers' lounge this morning in honor of their great work. Congratulations kiddos, thanks for making the world a better place! Back Row: 2nd grade - Jackie B., Adday T., Alexandra R., and Kylie M.
Middle Row: 1st grade - Carlin C., Braylon B., Kayden K., and Raelynn D.
Front Row: Kindergarten - Gavin R., Quinn D., Traice C., and Joclynn B. Having some silly times before heading to class! 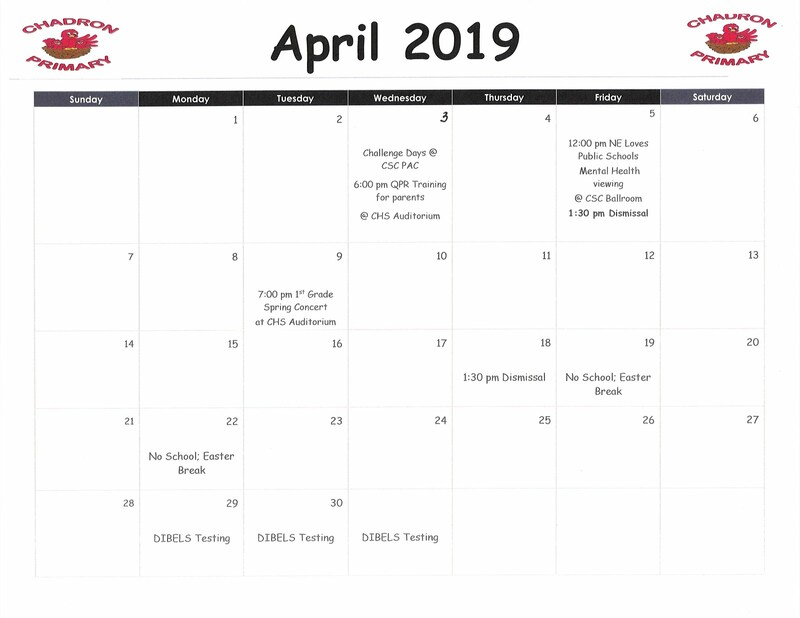 On March 1, 2017 parents will receive an email (or text if a cell number was provided) from Jolene Johnson, UNMC, with instructions and a unique link to a parent survey(s) you should complete for each child that has attended after school programming at Chadron Primary, Intermediate or Middle Schools. If you have any further questions please call or ask your after school coordinator for assistance. 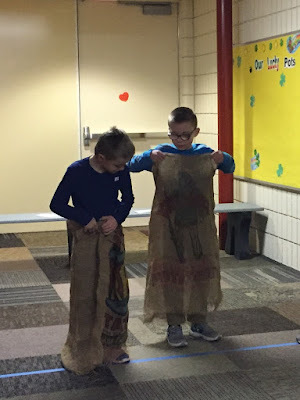 If only we could capture the enthusiasm and wonder that comes with being a student at Chadron Primary... to lose your first tooth and get to show the Princessipal your new tooth hole and necklace and the teamwork and fun that comes from building a snow fort with your friends. 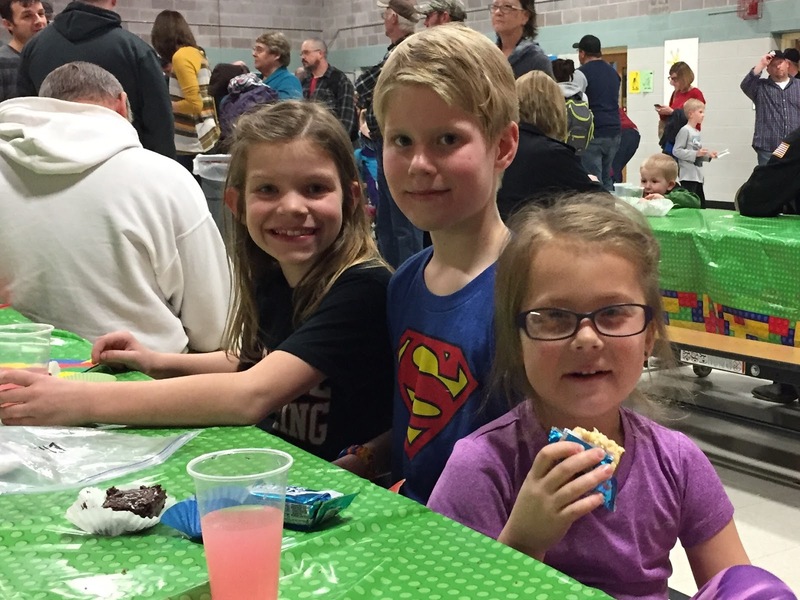 David lost his first tooth and could hardly wait to share his story during lunch. Our students had so much fun building a snow fort during our recent snow storm. Amalia L. was the winner of our Lego guessing game from our Penny Carnival. We had 234 Lego Building Blocks in the bucket and Amalia's guess was 232, the next closest guess was 231 - so close! Thank you to everyone who bought tickets for guesses and donated to our Penny Carnival, we had so much fun! 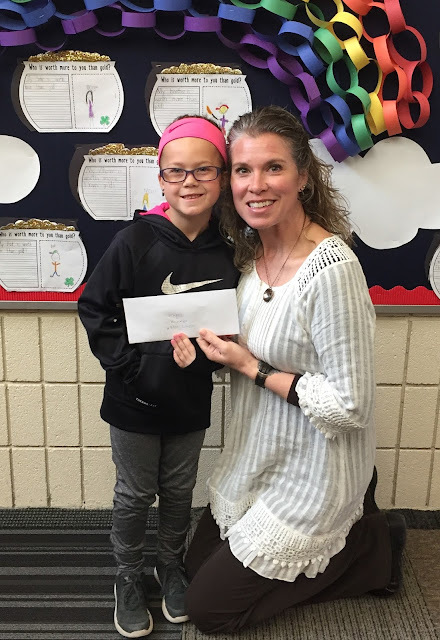 We are so lucky to have the caring personnel we have at Chadron Primary School - they give their hearts and time to the children we share and we cannot thank them enough!! After years of service to Chadron Public Schools and our children, Mrs. Claussen is retiring at the end of this year. She will be greatly missed, but we are excited for her new adventures! Mrs. Smith and her buddy R.J. celebrate his graduation from his ACES notebook with a lunch in the library. Ms. Charla does so much for our students and staff, we are lucky to have her! 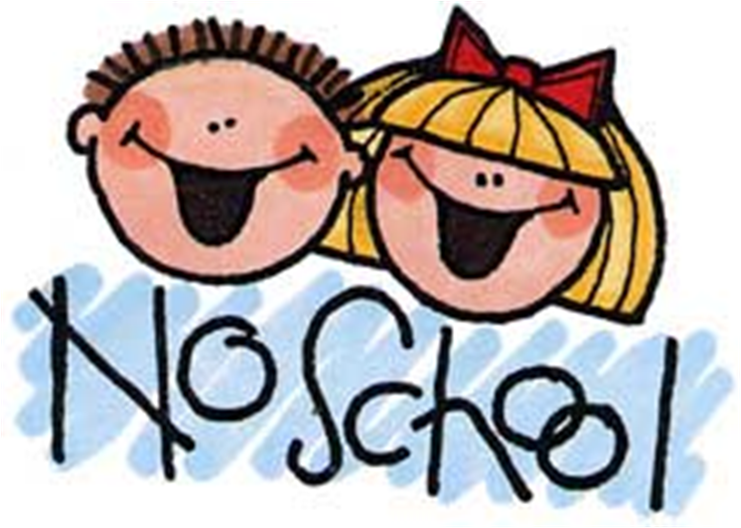 We have school today (Friday, February 24, 2017). Please drive safely - see you soon! Due to the forecasted weather, there will be NO SCHOOL Thursday, February 23, 2017 for Chadron Public Schools. Stay warm and safe! We would like to send a HUGE thank you to everyone who helped make our Penny Carnival a success!!! We want to send a special thanks to the parent volunteers who put in months of planning and coordinating, the CSC Cardinal Key group who helped run booths, the CHS FBLA students who also ran booths, the Chadron Primary staff members and JFK staff who made snacks and goodies for the cake walk/ran booths/snack stations/sign-in and raffle tables all so our families could enjoy their time. We were overwhelmed by the outpouring of support received and are so glad we could all "Build Friendships and Families". There will be NO SCHOOL Monday, February 20, 2017 due to a teacher in-service. Bring your family and friends to our 1st Annual Penny Carnival. and collect stamps. When your passport is full, head on over to our Lego station and collect 1 scoop of Legos. You may repeat this as many times as possible. We will also have a Cake Walk, where the prize is a cake for you to take home. There will be a raffle; tickets will be a $1.00 or 6 for $5.00. Winner gets half the pot. We will have refreshments. 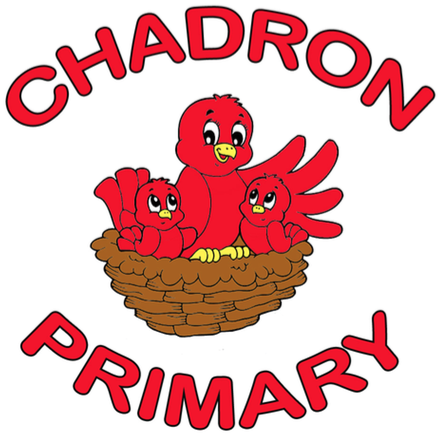 Chadron High School's Cardinals Committed group have made their mark on Chadron Primary School once again. 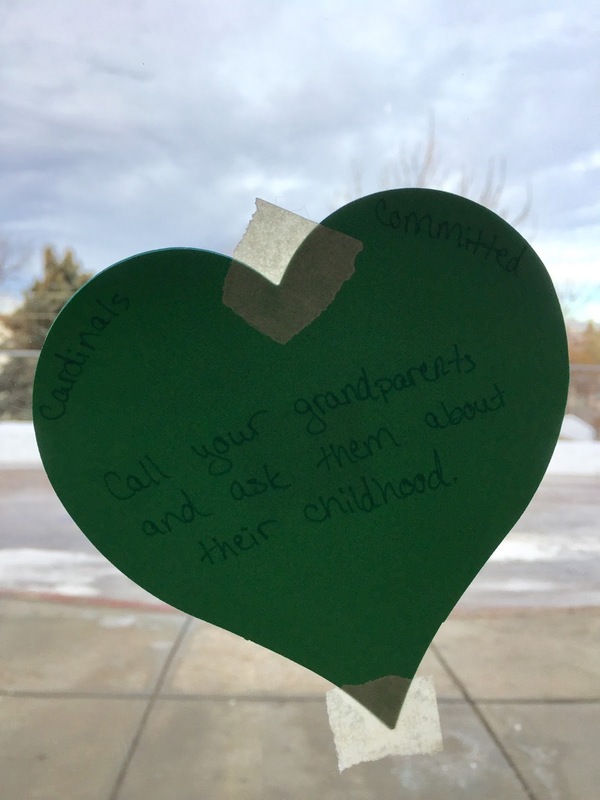 The Cardinals Committed students have written out some random acts of kindness our students can embrace. Thank you Cardinals Committed!! Once again our Cardinals of the Month celebrated their achievements by having breakfast with Princessipal Uhing 👸 These students have shown safety, respect, and responsibility over the past month and are wonderful examples of behavior for Chadron Primary School. Congratulations students, keep up the GREAT job! Breakfast sandwiches and doughnuts - GREAT way to start your day! Back Row (2nd Grade): Tobin L., Brylee H., Jett J., and Kole C.
Middle Row (1st Grade): Tye P., Sadie C., Karli C., and Johnathon H.
Front Row (Kindergarten): Hadley E., Allie C., Lucy S., and Jhett N.